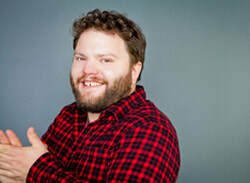 A graduate of the UTM/Sheridan, Theatre and Drama Studies program, Nate is a busy member of the Toronto theatre scene. Nate is an actor, stunt performer, certified fight director, and stage combat instructor. He has also been the resident fight director for Hart House Theatre for the past five seasons and is returning this year. Look for Nate teaming up with the incredible James Wallis for Hart House’s production of Titus Andronicus! 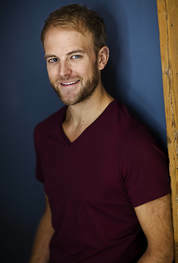 Brad Cook trained at The Royal Central School of Speech and Drama (MA, Movement Studies) and The University of Waterloo (BA, Acting). He now works across Canada as a movement director, coach and teacher, as well as an actor, puppeteer, and theatre creator. As a Movement Director and coach, Cook has worked at the Stratford Festival, Lost & Found Theatre, Long Reach Opera, Blue Bird Theatre Collective, Cosmic Fishing Theatre and InterArts Matrix. Cook has taught movement at the Birmingham Conservatory for Classical Theatre, Randolph College for the Performing Arts and has been a guest instructor at the University of Guelph and University of Waterloo. As an actor and puppeteer Cook’s selected credits include; War Horse (National Theatre of Great Britain), Maanomaa, My Brother (Blue Bird Theatre Collective), The Importance of Being Earnest (Guild Theatre Fesjtival), Body 13 (MT Space), Charles Dickens Writes A Christmas Carol, Pearl Gidley, Radio Leacock, Twelfth Night (Lost & Found). Cook is a co-founder of Blue Bird Theatre Collective. Cosette is pleased as punch to be a part of Shakespeare Bash’d! This is her first show with Shake’n’bash. Theatre credits include Half Way There (Globus Theatre), Screwball Comedy (world premiere) Foster Festival), Salt (world premiere - Lark and Whimsey Theatre), And Then The Lights Went Out (Stage West Calgary), The Queens (Glasswater Theatre), and the title role in Romeo and Juliet (Canopy Theatre). Notable tv and film credits include appearances in Private Eyes, Taken (tv series), A Date with Misfortune, Scott Pilgrim vs the World, Good Witch, Reign, The Listener, Satisfaction, The Ron James Show, and The Jon Dore Show. Cosette is super into Hastings. What a hottie. She has graduated from Ryerson Theatre School, run two marathons, cycled to Montreal, and hung drywall professionally. She loves that Kelly Wong and their little dog too. Jade Douris is an actor and choreographer who is based in Toronto. She loves dogs, cooking, and tap dancing. For Shakespeare BASH'd: most recently, Viola in Twelfth Night, also Hamlet, The Merry Wives of Windsor, Love's Labours Lost. Other theatre: Helena in All's Well That Ends Well, Tinkerbell in Peter Pan, Audrey in As You Like It, Soothsayer in Julius Caesar (Shakespeare by the Sea - Halifax, NS), originating the role of Amy Jamison in A Different Kind of Job (Theatre Aquarius), The Comedy of Errors, Drunk Romeo and Juliet (Dauntless City Theatre). Film/TV: According to Kids (CBC), A Midsummer Night's Dream, Hamlet (Shakespeare at Play). Jenn has worked with Shakespeare Bash’d since its inception, and is thrilled to be back with the gang after her last appearance in Hamlet as Laertes, for which she received a My Entertainment World Award. Selected acting credits include; The Three Musketeers, Antony & Cleopatra (St. Lawrence Shakespeare); Mrs. Warren’s Profession, A Woman of No Importance, You Never Can Tell, Pygmalion, When We Are Married, The Sea, Half an Hour, Harvey (Shaw Festival); Jane Eyre, Gone With The Wind (RMTC); August: Osage County (The Citadel); Macbeth, The Taming of the Shrew (Canadian Stage); Kindertransport (Harold Green – Dora Nomination); Hana’s Suitcase (The Grand). Jenn is an actor, stunt performer, fight director, and stage combat instructor, and would like to have a drink with you after the show, see you at the bar! Other: As a filmmaker she has directed a trio of short films entitled triptych triptych triptych and a short film called 9 9 . 7 %. She is currently in post-production for Idle Spies. You can find her on Twitter @suzettemccanny. Shalyn is so happy to be making her Shakespeare BASH'D debut. Shalyn is a graduate of the Trinity Western University acting program with a BA in Theatre, and has also trained with Vancouver's Arts Club Actors Intensive. Having spent her earlier years in Southern California and NYC before moving to Canada to live in Vancouver and now Toronto, she has carved a giant Zorro-style "Z" across North America. When not performing, she can be found with making friends with the nearest cat, sewing, knitting, or obsessively baking and force-feeding treats to others. ​Recent credits include Suzie in Omnium Gatherum (Theatre By Committee), Beatrice in Much Ado About Nothing, Gretchen in Boeing Boeing (Hart House Theatre); Much Ado About Nothing, The Winters Tale (Leroy Street Theatre). She will also be returning to Hart House Theatre as Tamora in Titus Andronicus this March. Find out more at shalynmcfaul.com. Julia is an actor, director, and producer, as well as a Co-Founder and Co-Artistic Director of Shakespeare BASH'd, where she has produced all of the company's productions. She has worked as the Managing Director of Common Boots Theatre and is now part of the team at The Theatre Centre. For Shakespeare BASH'd, Julia has directed The Comedy of Errors, and assistant directed The Changeling. She has also performed in many BASH'd productions, including The Taming of the Shrew, Romeo & Juliet, Macbeth, The Merry Wives of Windsor, Hamlet, Twelfth Night, and Volpone (staged reading). Drew is a Halifax-born, Toronto based actor and maker of fine Theatre. Drew often finds himself in plays by Shakespeare, recently Julius Caesar, All's Well that Ends Well, Much Ado about Nothing (Shakespeare by the Sea) Taming of the Shrew (Driftwood) Romeo and Juliet (Humber River Shakespeare) and of course Hamlet, The Merry Wives and Windor, Twelfth Night (Shakespeare BASH'd). Select other credits include Peter Pan in Peter Pan (Shakespeare by the Sea) Rabbit Hole (Neptune Theatre) A Different Kind of Job (Theatre Aquarius, Studio) and Boys, Girls, and Other Mythological Creatures (Carousel Players). Drew has collaborated on musical adaptations of Alice in Wonderland, Snow White, Peter Pan, Cinderelly, and Treasure Island, and is the co-writer of the musical And Now, the End (SumerWorks 2014). Hugs and kisses to my wife-to-be Jade, without whom none of this would matter. Trevor's family moved to Brantford for his last year of high school, and that's where he discovered his love for acting. Coming home from school one day, he was surprised to learn his parents had signed him up for an audition at the local theatre. Maybe his parents thought he had talent. Maybe they were sick of all the Lord of the Rings impressions. Maybe they just needed some 'parent time.' Nevertheless the point was made and the passion was discovered. Favourite theatre credits include Julius Ceasar, Much Ado (St. Lawrence Shakespeare), Armstrong's War (STC), Gotcha (TIFT), Macbeth, Romeo and Juliet, Hamlet (Classical Theatre Project) and Star-Spangled Banner (Classic Theatre Festival). Recent television gigs include Suits, Schitt's Creek, Man Seeking Woman, Heroes Reborn, The Beaverton, Nikita, Covert Affairs and award-winning shorts Breathing Through a Straw and Bullyfighters. He would like to thank his beautiful wife and silly dog for their constant love and support. Catherine Rainville is an actor, director, and a designer. She is thrilled to be stomping the concrete floor of the Monarch. It's been while. With BASH’d, as an actor: Cardinal Pandaulph in King John, The Widow in Taming of the Shrew, and Katherine in Love’s Labour’s Lost. Other acting credits include: Rosalind in As You Like It, Cordelia in King Lear, and Jenny in the company written musical production of Pinocchio with Shakespeare by the Sea. Juliet in Romeo and Juliet, and Viola and Sebastian in Twelfth Night with the Classical Theatre Project. Recently she was apart of a workshop reading of the new play For the Love of Gracie by Crystal Verge which she hopes to be apart of in future full productions. Catherine was inspired by this process to continue to help facilitate new Canadian works through the workshop process in any way she can. Kelly Wong is pumped to be joining Shakespeare BASH'd for the first time! For nearly decade, he has been a member of the Shaw Festival ensemble. Highlights include: Wilde Tales, 1979, The Light in the Piazza, Ragtime, Sweeney Todd, Peter and the Starcatcher, Cabaret, Guys and Dolls, My Fair Lady. Other selected credits: Romeo in Romeo and Juliet, A Midsummer Night’s Dream, Much Ado About Nothing (Shakespeare in the Park Calgary), Little Shop of Horrors (Stage West); Miss Saigon (Drayton). Up next: Of Marriage and Men, The Orchard (Shaw Festival). Kelly has a crush on that Buckingham. Joseph is thrilled to be joining Shakespeare BASH’d for Richard III! He was most recently seen in We Are Here Productions’ staging of In The Heights: In Concert as Sonny, and in the world premiere production of Picture This at Soulpepper. Past Credits also include: Maddie’s Karaoke Birthday Party, Jay and Shilo’s Sibling Revelry (Toronto Fringe Festival), SExT (Moo With Me Productions), The Fantasticks, Assassins (Confidential Musical Theatre Project). He is a proud graduate of the University of Windsor’s BFA Acting program and the Stella Adler Studio’s Musical Theatre Intensive in New York City.